Outdoor fireplaces and fire pits open up a home’s living space with practical luxury that can be used every day. 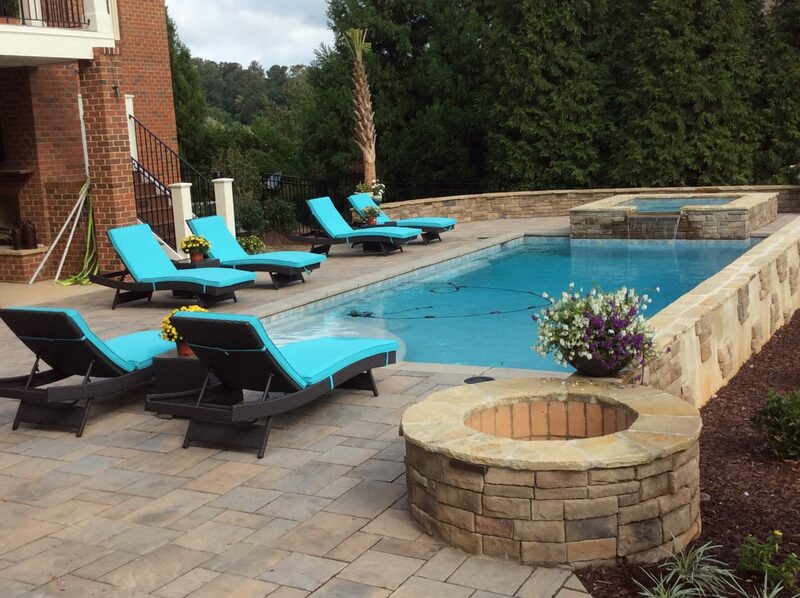 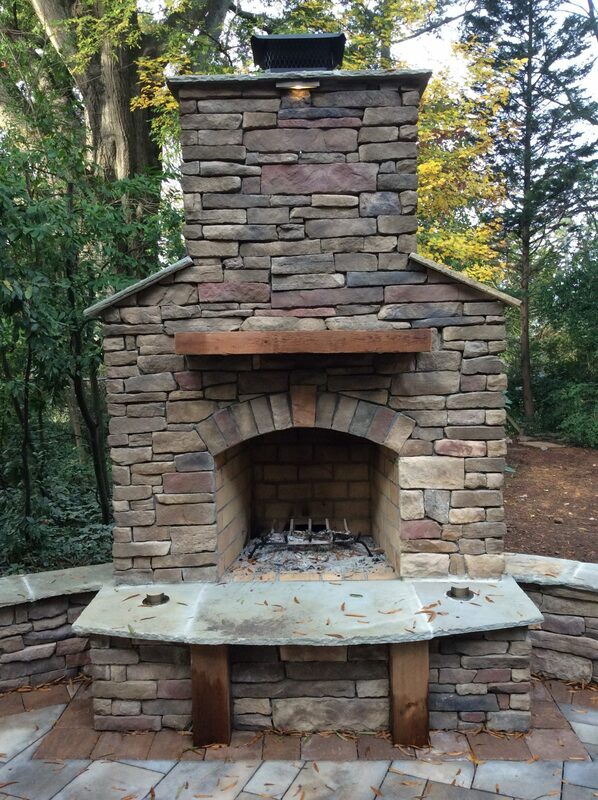 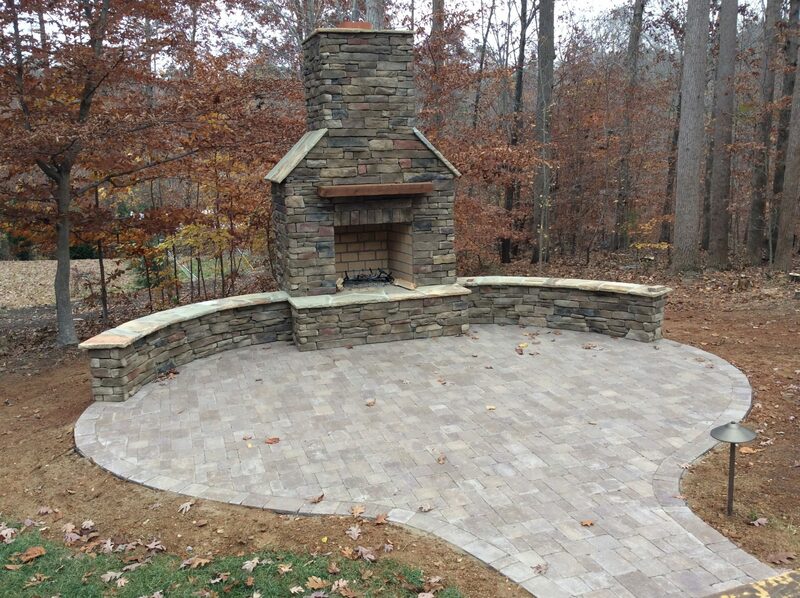 For homeowners in the Raleigh, Wake Forest, and Cary communities, getting a brand new outdoor fireplace or fire pit is as easy as making a call to Brookscapes. 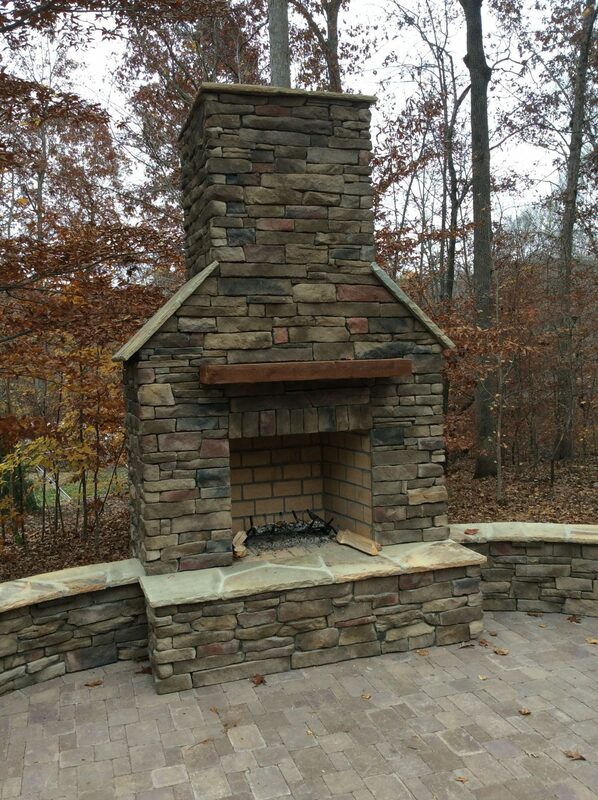 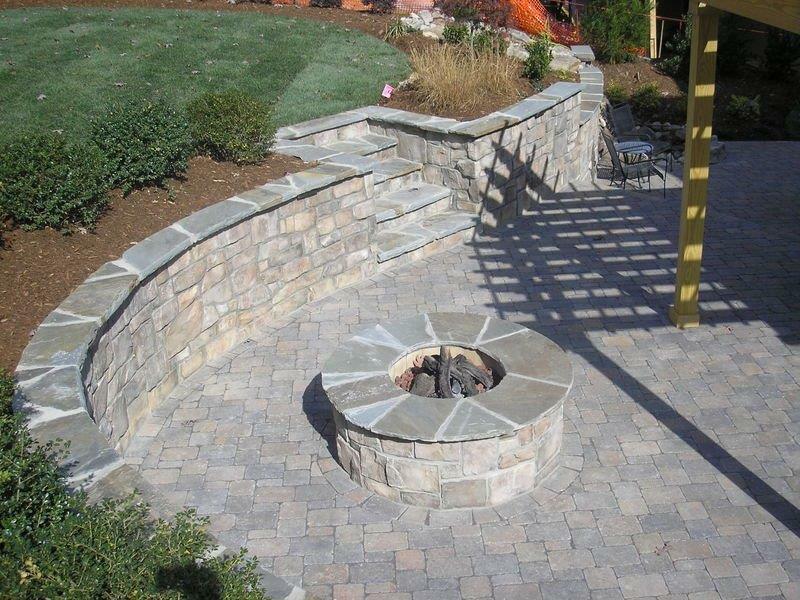 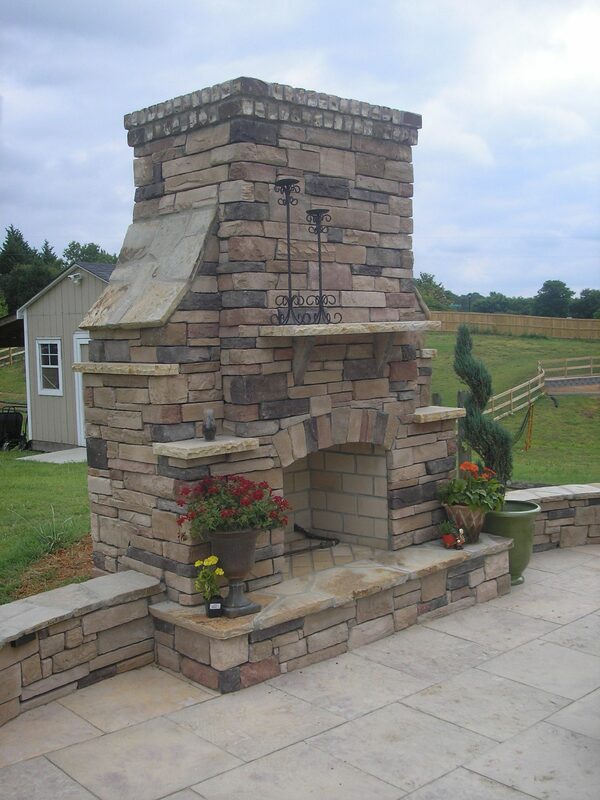 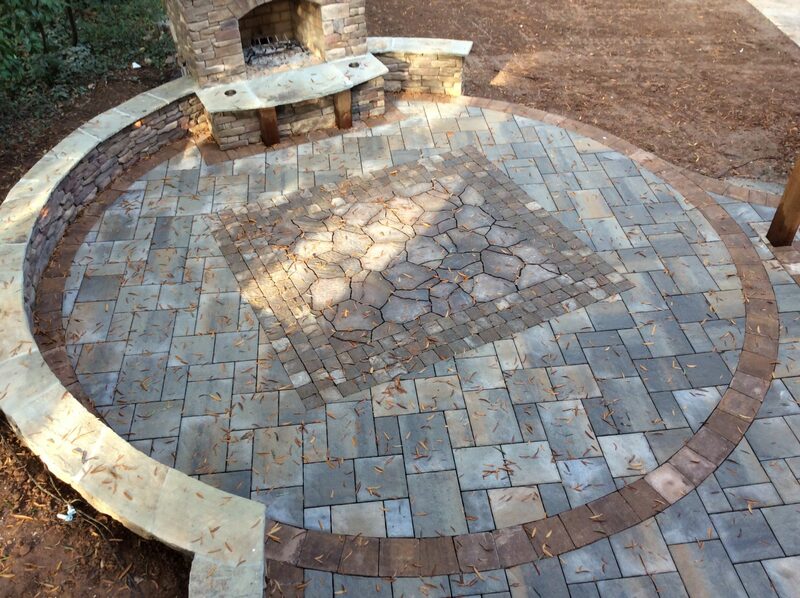 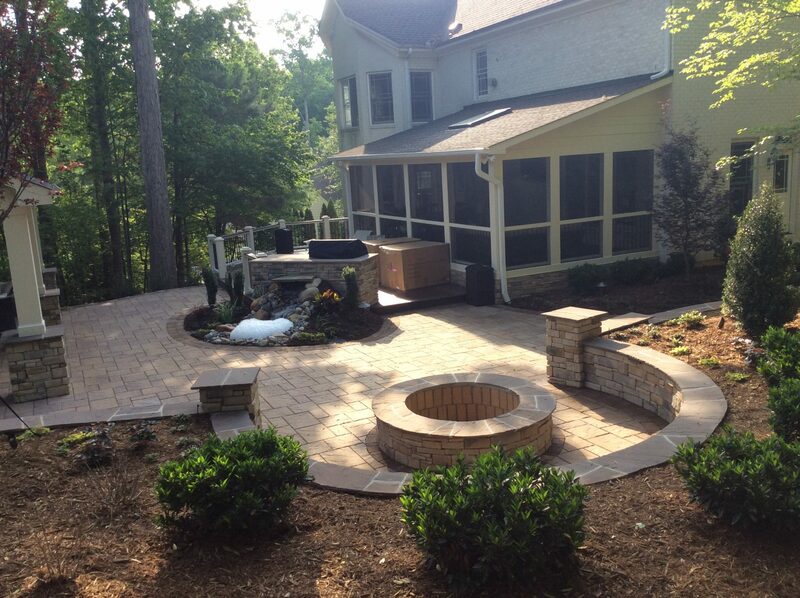 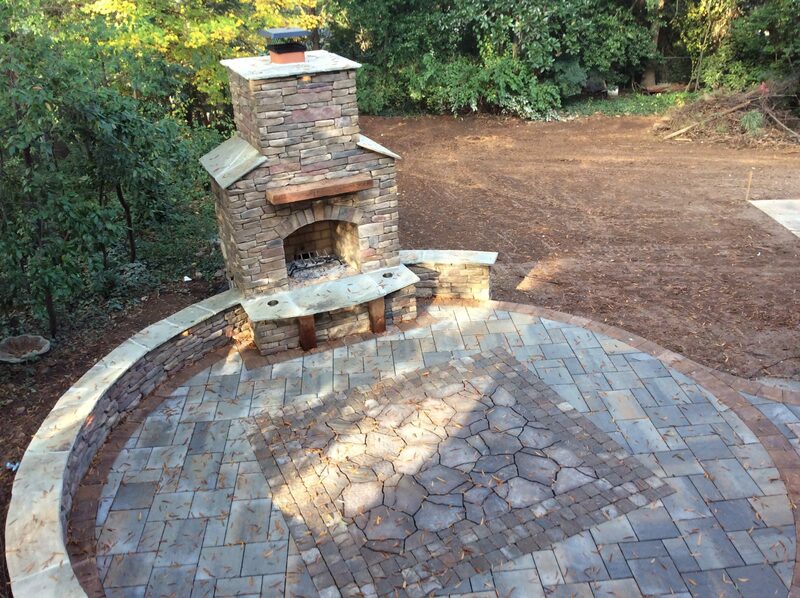 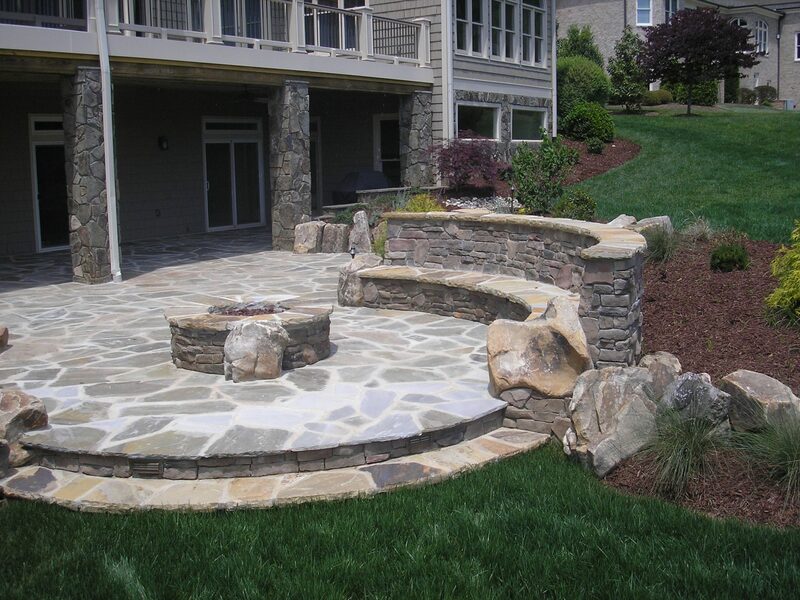 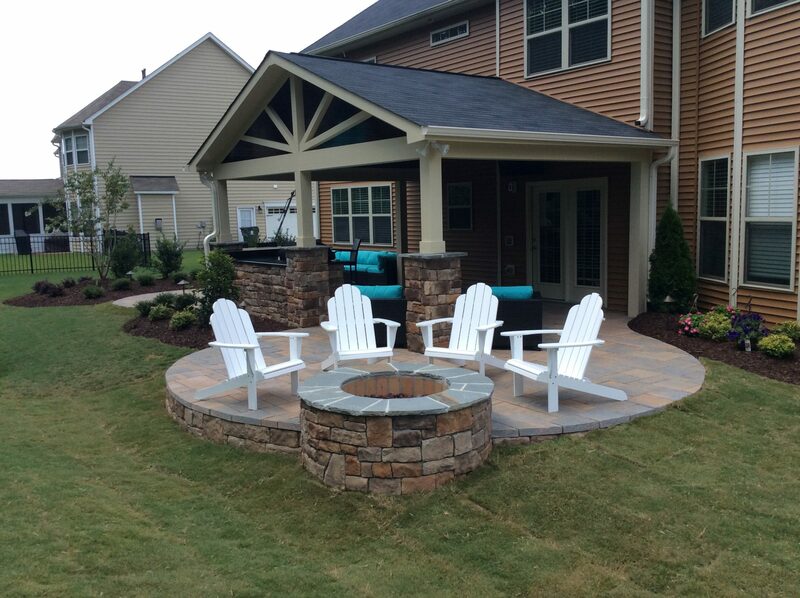 Call us in Raleigh at (919) 872-5770 to discuss an outdoor fireplace or fire pit design for your home! 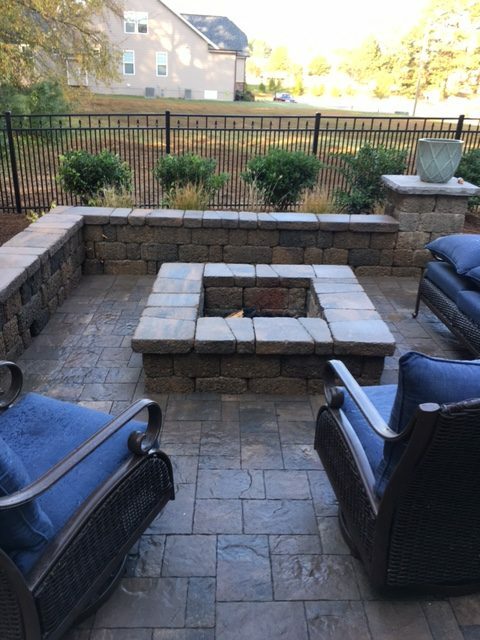 Not only do outdoor fire features create a great space for family and friends to gather during the summer, they allow you to enjoy your outdoor living area year-round. 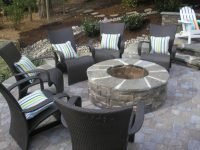 The winter months in Raleigh-Durham can be quite chilly but rarely drop below freezing, which is the perfect climate for an outdoor fire pit. 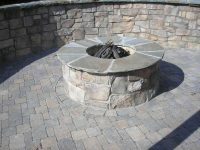 Brookscapes can install fire pits of all fuel types. This includes: gas, propane, and wood burning. 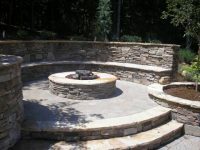 Homes of all sizes can accommodate a fireplace or fire pit. 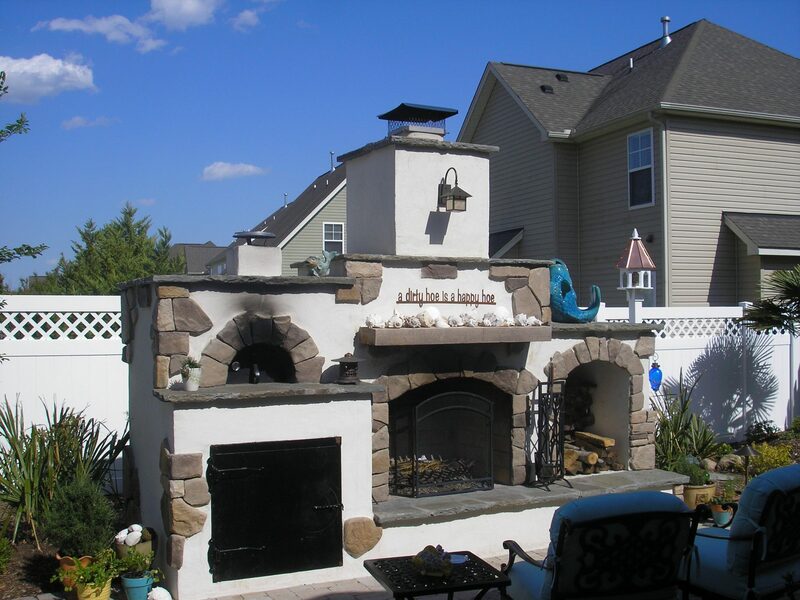 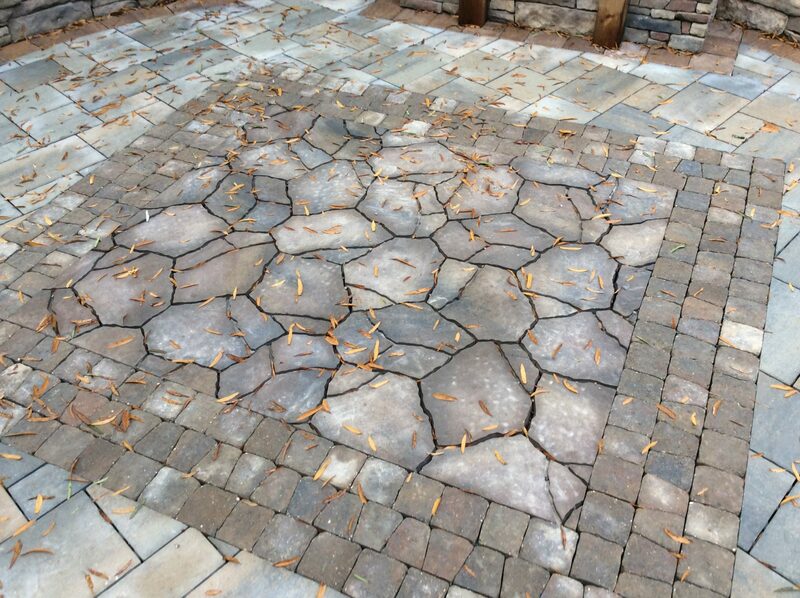 Our custom designers will build something of the perfect size for your backyard. 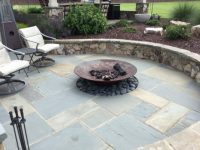 Fire pits add serious value to your home. As a premium feature, modern fire pits create curb appeal and function to any home. 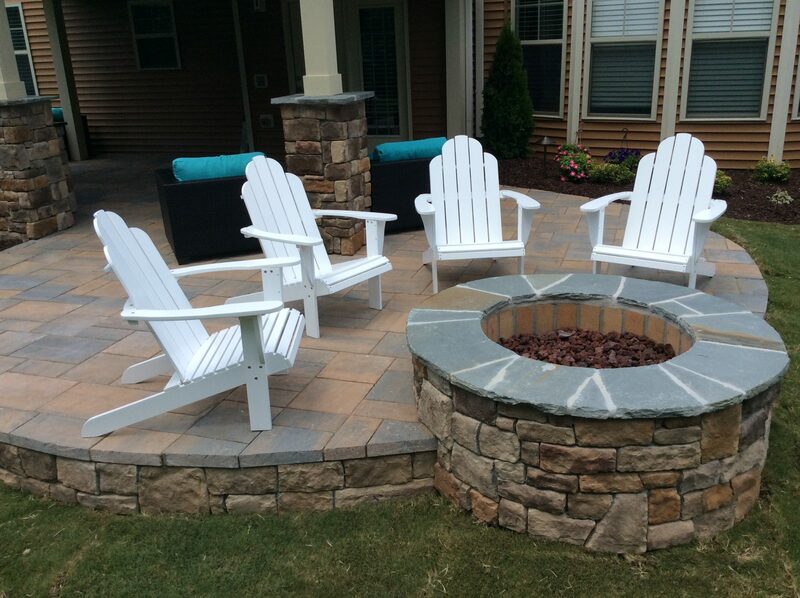 Guests will love them. 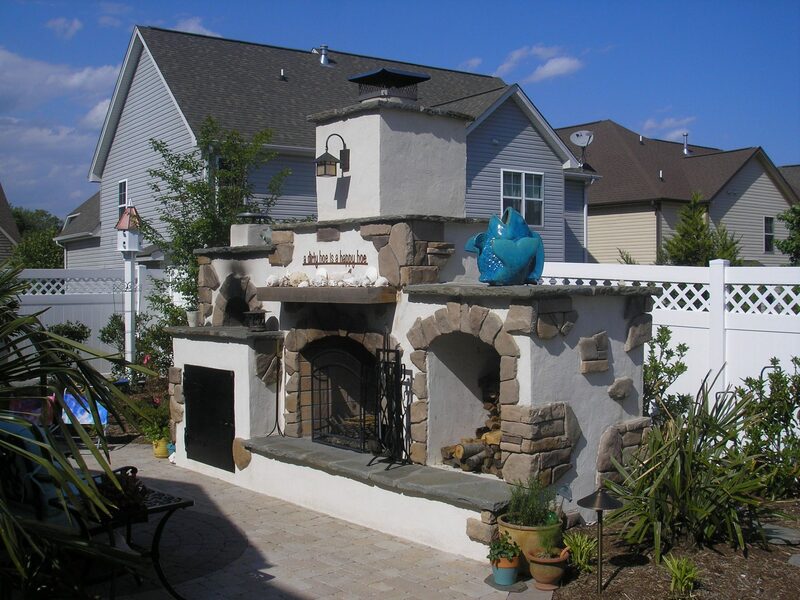 Outdoor fireplaces and fire pits are perfect for homeowners who entertain. Fireplaces can be used for cooking. 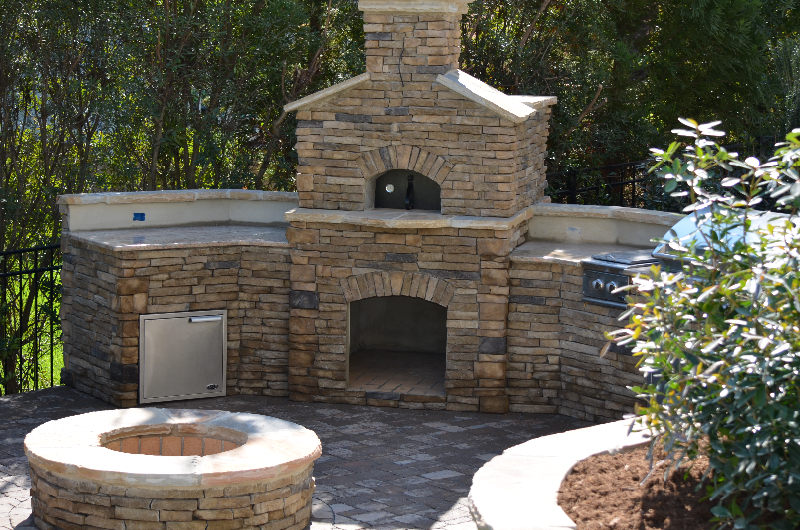 Custom stone or brick fireplaces can be built to include a pizza oven. 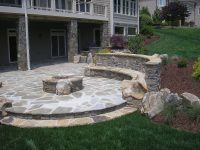 Brookscapes takes every opportunity to create something unique that the client truly loves. Depending on what you plan on using the outdoor fireplace or fire pit for, we will develop a concept that gives you exactly what you need. 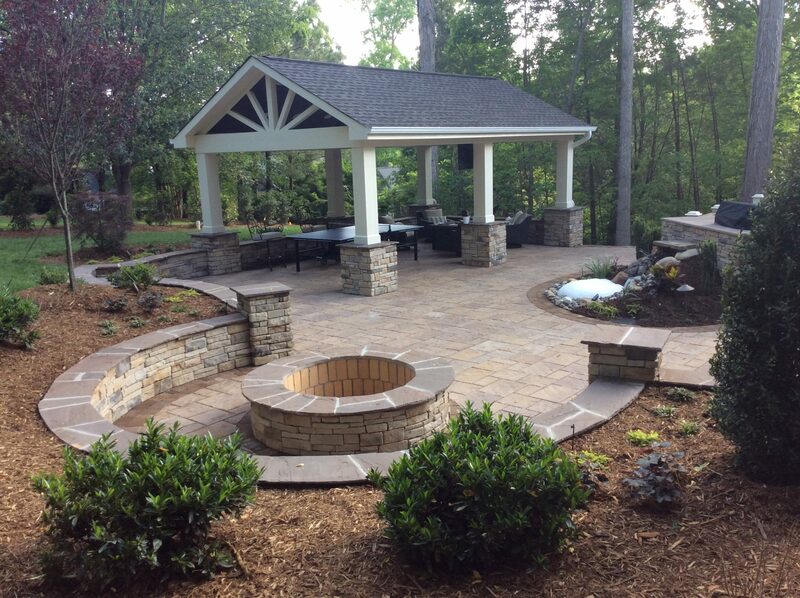 Complete a short contact form or call us in Raleigh today at (919) 872-5770 to learn more about our design and installation processes!